Last September I had the opportunity to attend a creative retreat called Find Your Lula. It was an inspiring week full of so much learning and fun I hated to see it end. One of the things we did at the retreat was an exercise guided by Lyn Christian of Soul Salt Inc. designed to help us get to the heart of what really matters to us. Through a series of eliminations, we came up with the three words that resonated most with who we were, our Core Values. It was a surprisingly emotional process, but when I finally settled upon these three words, it just felt right. FAMILY: the heart of everything else I do in life. My reason for being. BRAVE: I want to live a life that is true to me, to be brave enough to let go of expectations and to stand firm in the things that matter to me. GRATEFUL: Life is beautiful, and full, and blessed. I want to remember to thank my Heavenly Father always for the gifts he has granted me. And also to show my appreciation to all those around me who make life wonderful. I have wanted to display these values in my craft studio ever since I got home, but I just wasn't sure how I wanted to do it. This week I decided to just go for it. 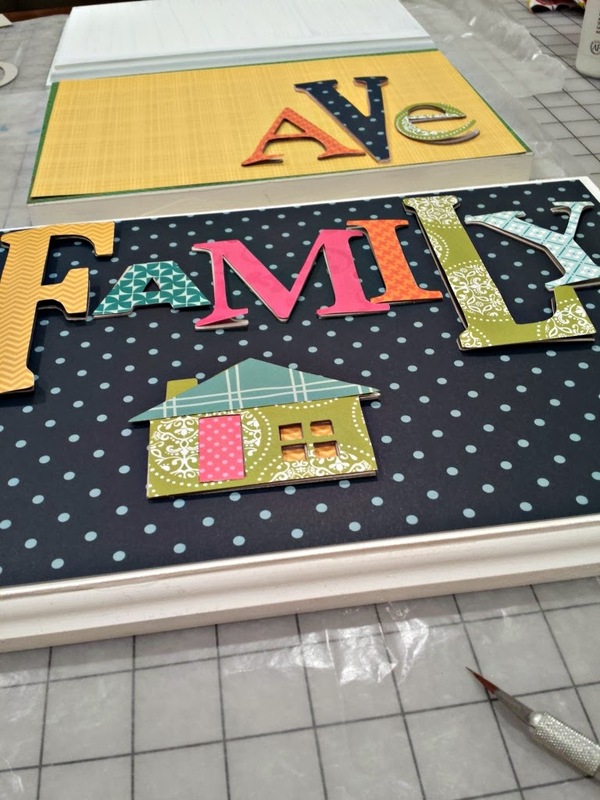 I used up extra boards and chipboard letters I had in my house so this project cost me nothing, which is about all the budget I have right now. I was inspired by these papers from Pebbles in my Pocket. I absolutely adore the navy mixed in with the bright colors. 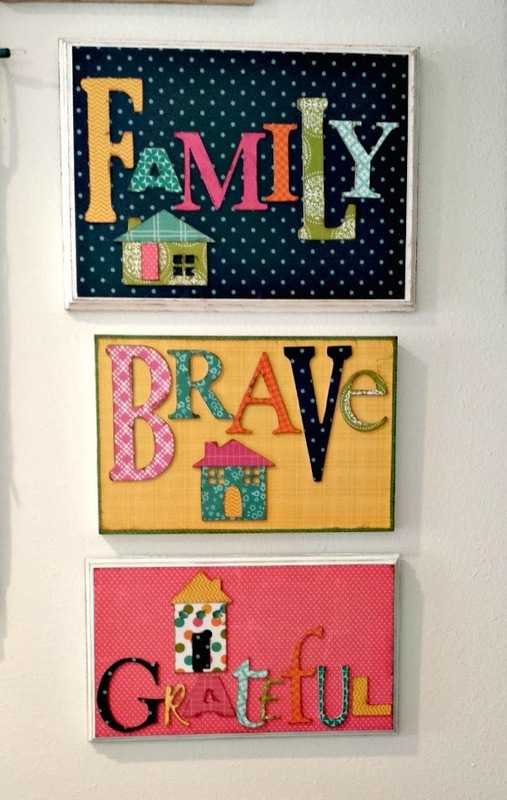 And now, the first thing I see when I walk into my craft room is these three values, reminding me to stay true to myself and not get sidelined by things that don't really matter to me. What do you think your core values would be? Awesome Amy! I love the words you chose and the display of them is beautiful! !